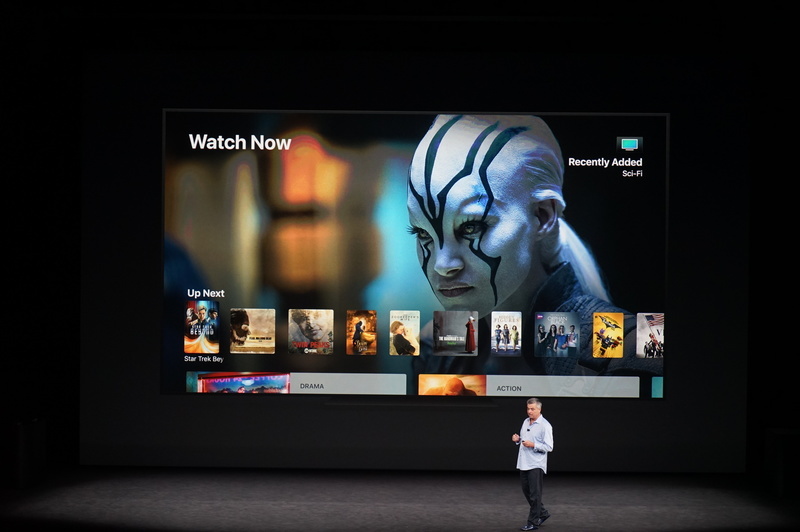 New Apple TV is twice as fast and graphics is four times as fast. It runs TV OS. What will this mean for games? 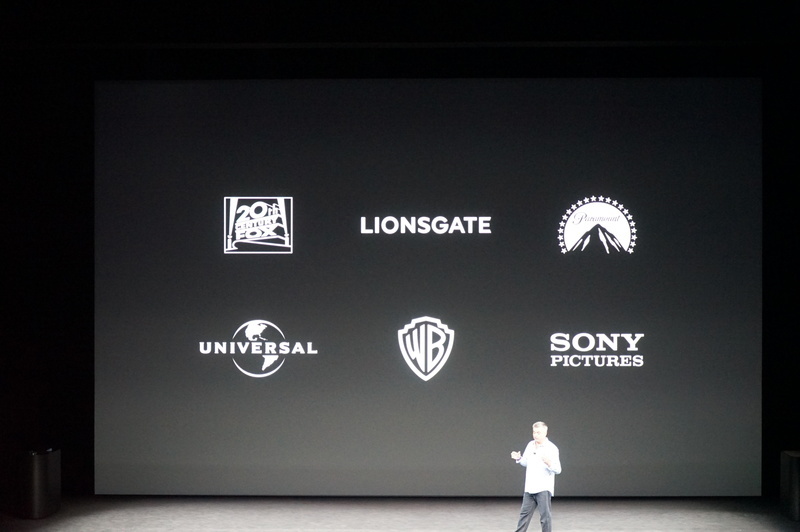 Apple has been working with Hollywood studios to bring their 4K and HDR titles to Apple TV, he says. 4K movies will cost the same as HD titles, Cue says. 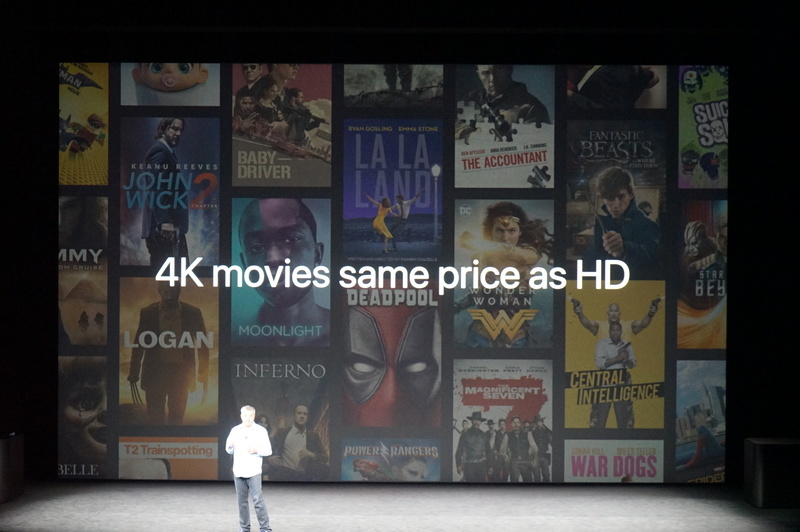 4K: no extra price. Free upgrade. That's pretty nice. 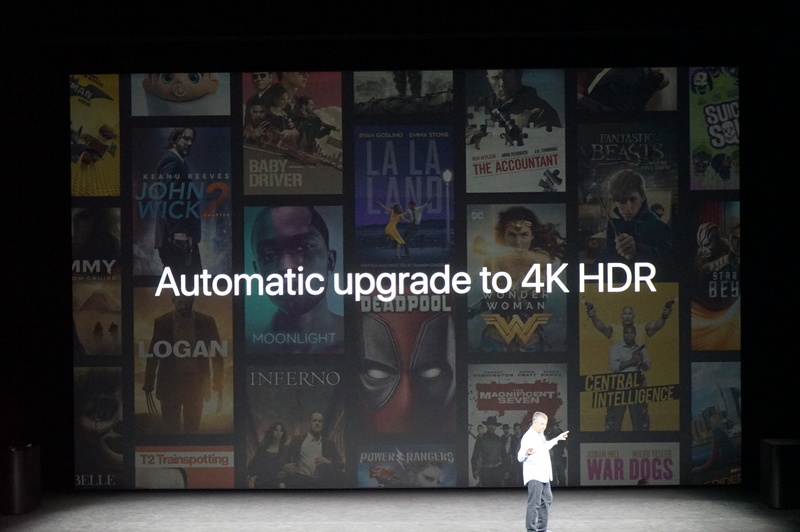 If you bought an HD movie already, you'll be upgraded to 4K at no additional charge, he says. Working with Netflix to bring their 4K titles to its service, as well as Amazon Prime Video, Cue says. 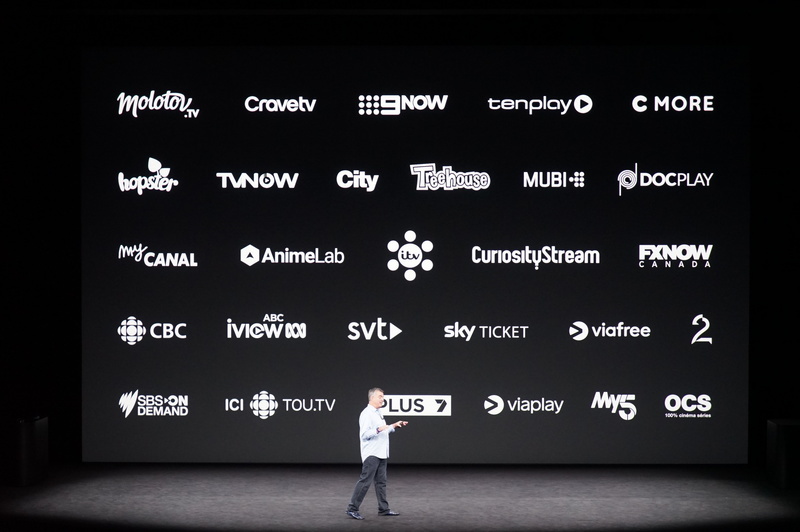 Apple TV app on your phone coming to seven new countries, Cue says. Canada and Australia comes later this month. 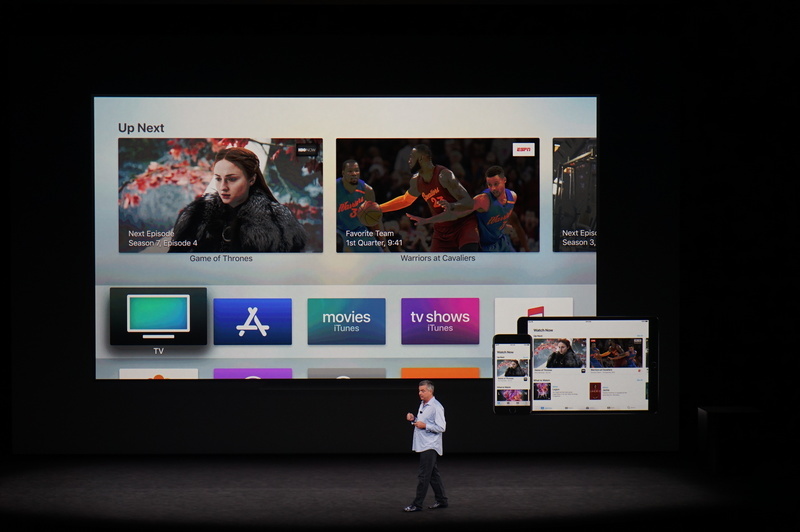 Adding local services to Apple TV. 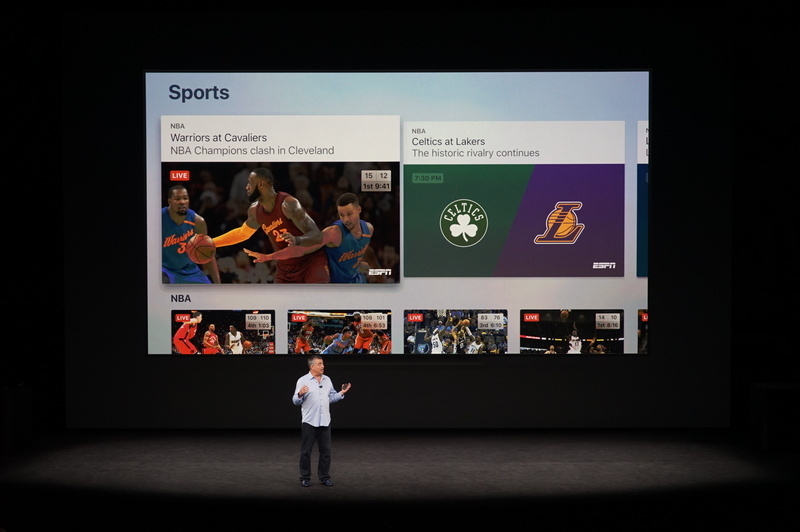 Cue says Apple is bringing live sports to Apple TV. If your favorite team is playing on ESPN, it'll be prominently positioned, he says. Apple TV app finally spreads to other countries. And live sports...so does this mean Jets games will notify me now? 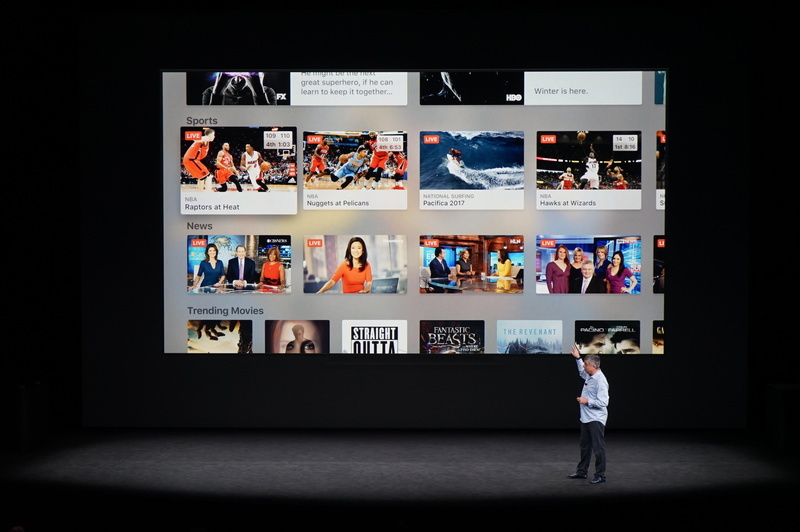 Bringing live news to the TV App. 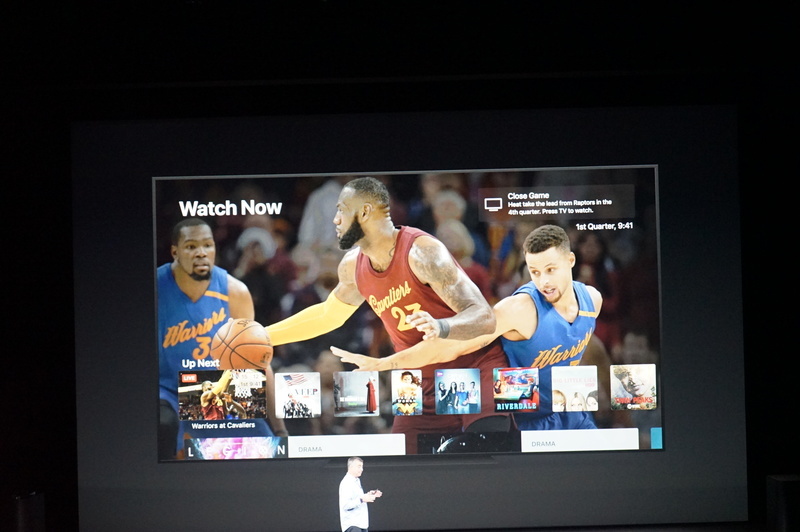 For sports, Apple shows you the score and time left to see if you want to watch it, he says. There's a dedicated sports tab. As the seasons change, so will the tab, Cue says. Sports score updates in dashboard. Like a little sports bar. If you own an iPad or iPhone, there's no better choice than Apple TV, Cue says. 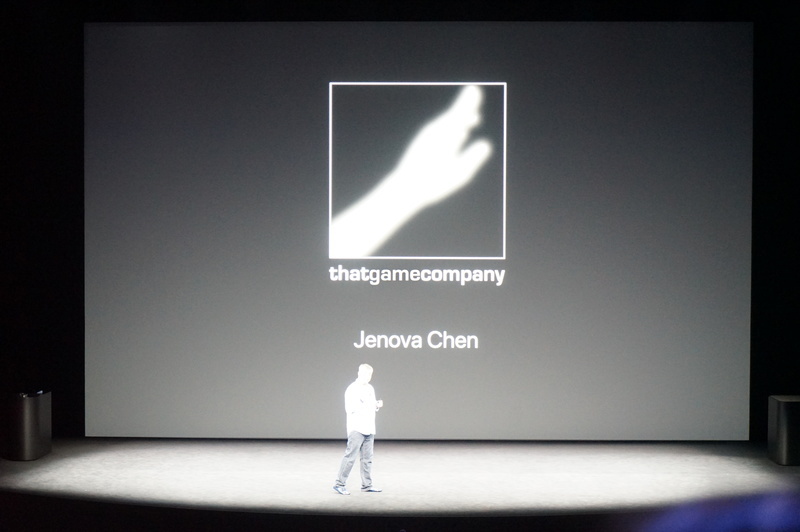 Apple TV games...Jenova Chen on-stage. New game. I love Journey. 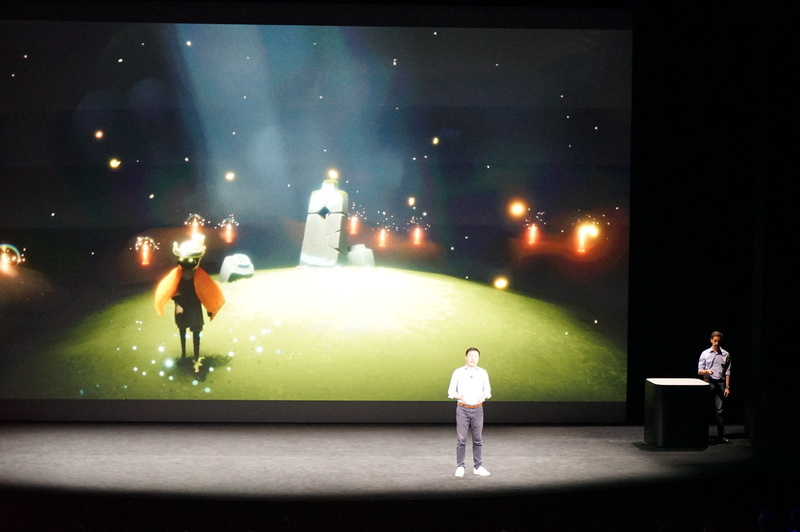 Cue touts That Game Company and CEO Jenova Chen for another demo. 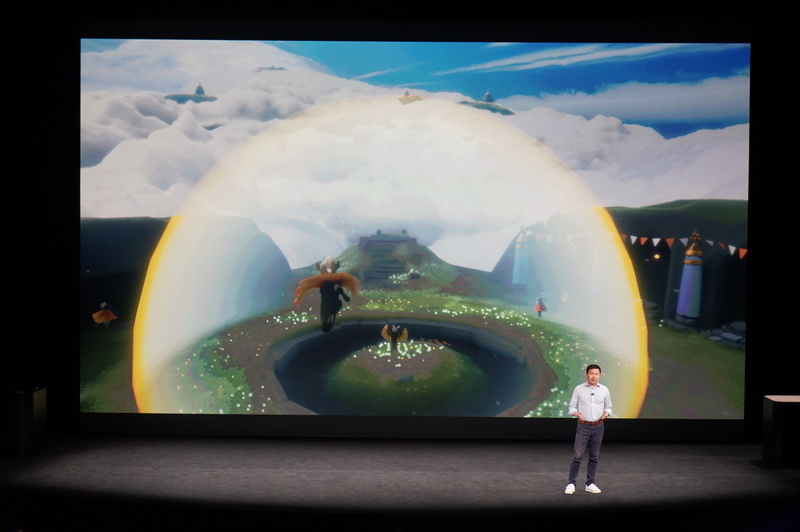 Chen touts a new game called SKy. 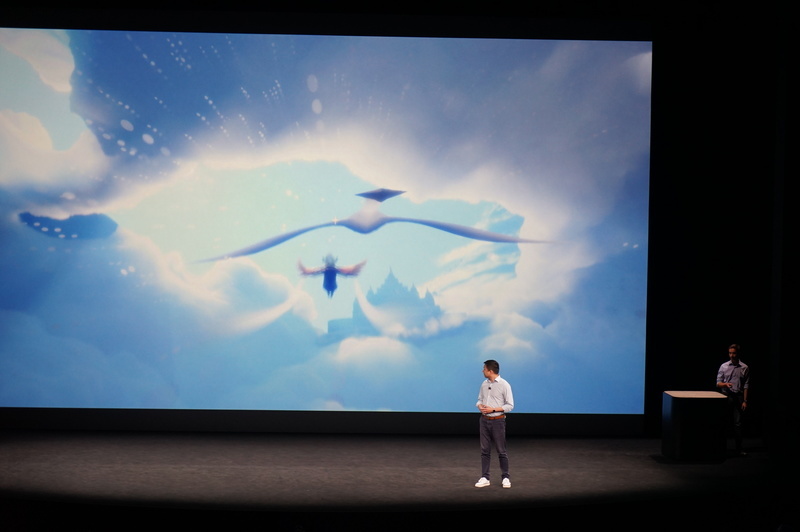 Sky is a romantic social adventure game, Chen says. You fly above the clouds and explore a mysterious world. It's designed to be adaptable to any player. 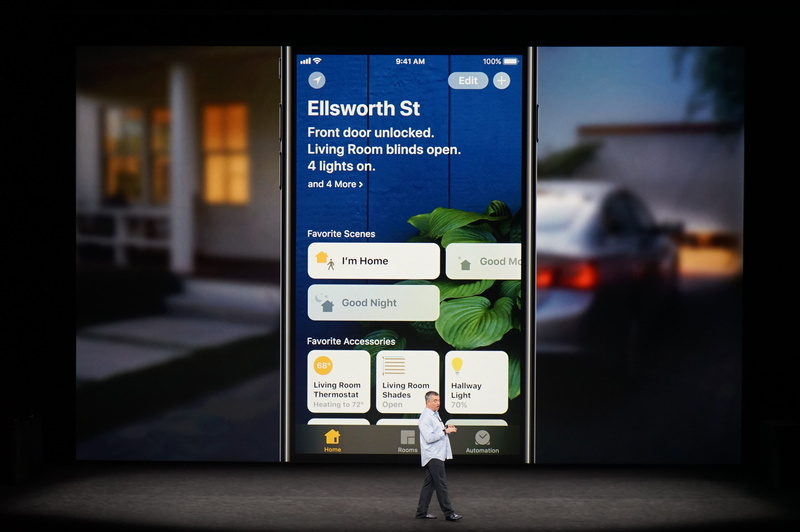 Everything can be done with one finger on the Siri remote, he says. Feels like Journey meets Flower. This looks like a really slick game. 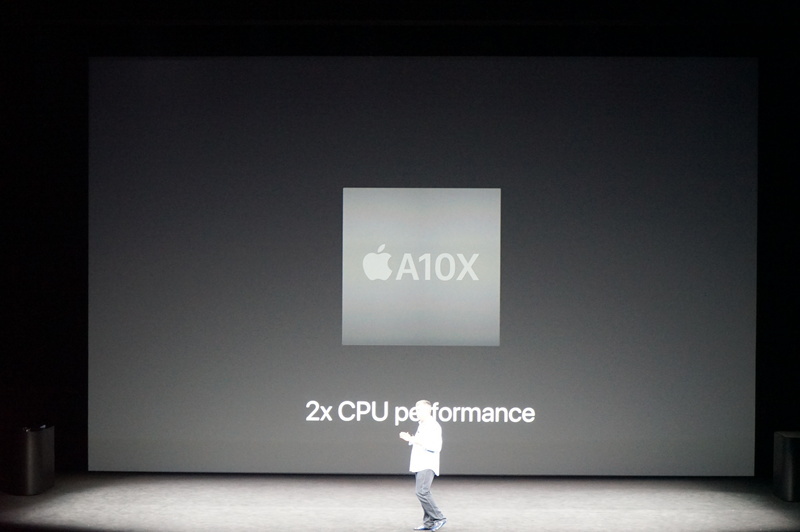 Sky will take advantage of new hardware, plus Metal and the A10x fusion chip, Chen says. Eight players can play together from anywhere around the world, Chen says. In Sky, you play as the Children of Light, and your goal is bring that light to where it's needed the most. There'a definitely a nice whimsical feel to the game.